Shopping for Air Heat Pumps in Fox River Valley Gardens, Illinois? Are you looking for renewable and affordable heating alternatives? ID Mechanical Inc has worked with many homeowners and businesses to design and install air heat pumps in Fox River Valley Gardens, Illinois. Consider how our expertise can help to improve your heating system. ID Mechanical Inc has been working in the Fox River Valley Gardens region since 2012, installing traditional air heat pumps and split-systems in residential and commercial buildings. Our trained technicians have the skills and expertise to repair heat exchanger coils and fans or size your system for maximum efficiency. Trust the local pros with your heating. Fox River Valley Gardens residents depend on quality work to install and maintain their heating needs, and the satisfaction guarantee offered by ID Mechanical Inc provides confidence and value. 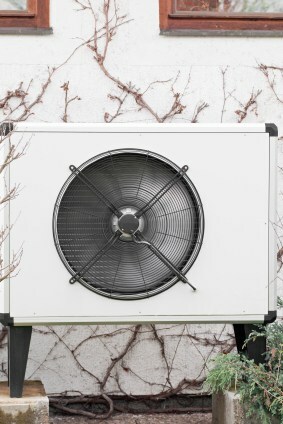 Fully designed air heat pumps, including auxiliary systems, fall under ID Mechanical Inc’s guarantee, and our trained technicians work with top quality products to create reliable, efficient Fox River Valley Gardens, Illinois air heat pumps suitable for any application. ID Mechanical Inc can also help Fox River Valley Gardens residents save money on their heating and cooling systems. ID Mechanical Inc offers professional services for affordable prices, including repairs to existing air heat pumps, design and installation or routine maintenance. Our technicians can help save you money on heating and cooling with affordable services on your air source heat pump system. Let ID Mechanical Inc help you create and maintain an affordable renewable heating system. We offer trained employees and a satisfaction guarantee to Fox River Valley Gardens residents, with affordable rates and reliable service. When you’re shopping for air heat pumps in Fox River Valley Gardens, Illinois, trust the professionals at ID Mechanical Inc. Call (847) 250-2737 today for details and pricing information.